Step back in time at Hotel Colorado. 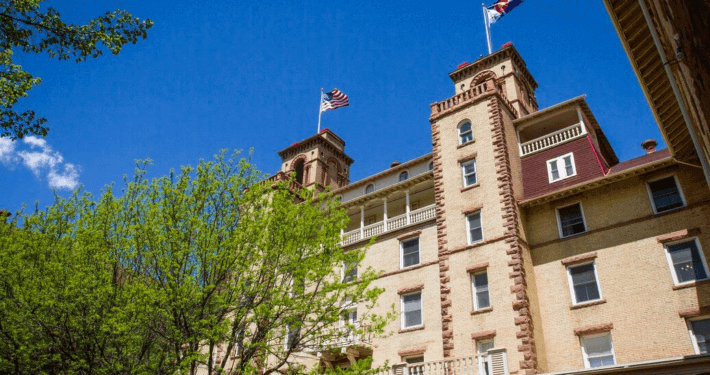 The historic Hotel Colorado has been a destination for those seeking the healing powers of Glenwood Springs’ natural hot springs since 1893. Like so many hotels in Glenwood Springs, the Hotel Colorado has a long and diverse history. Enjoy our legendary service, modern amenities, and well-appointed rooms as you explore the beauty of the majestic Rocky Mountains. You’ll be delighted by our fine dining options and proximity to world-class hot springs, skiing, hiking, and whitewater rafting. Whether you’re visiting to experience a mountain adventure, relax and rejuvenate in our town’s healing hot springs, or escape from the hustle and bustle of daily life, we can’t wait to welcome you. We also offer memorable, elegant spaces for gatherings of all kinds, from corporate retreats to weddings. 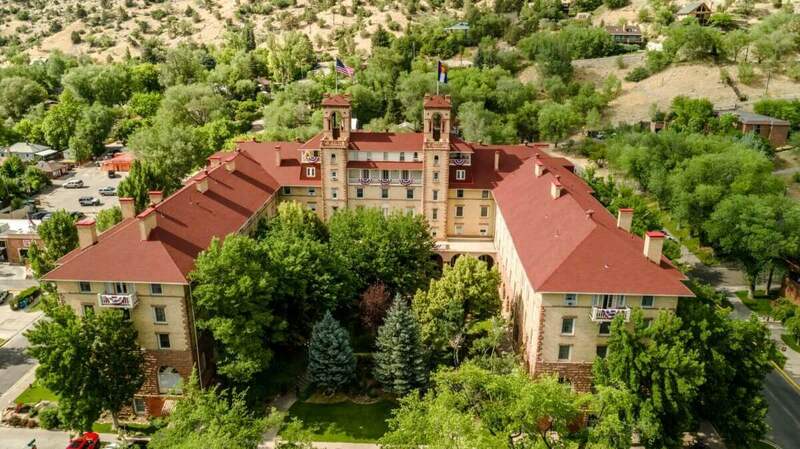 Come experience why the Hotel Colorado has been a Colorado icon for more than 125 years – your escape awaits in Glenwood Springs. Hotel Colorado is the only full-service hotel in Glenwood Springs! You will find an elevated culinary experience from casual to upscale. Baron’s restaurant has a family-friendly environment with a very approachable menu. Legend’s is an on-site coffee and gift shop with great grab-and-go breakfast and lunch options for when you’re on the run. Check out the full list of additional hotel amenities. From romantic weddings to corporate retreats, Hotel Colorado is the perfect location. We offer 6 meeting rooms with over 10,000 square feet of flexible meetings space. Full service conference and catering services available.